How Are You Defining "Success"? 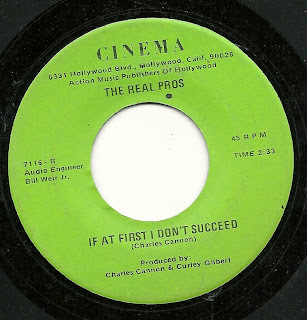 Here's another one of those very early period Cinema singles, from the period in which house band "The Real Pros" was nothing but one guy with one of those cheap home-model rhythm-chord keyboards. 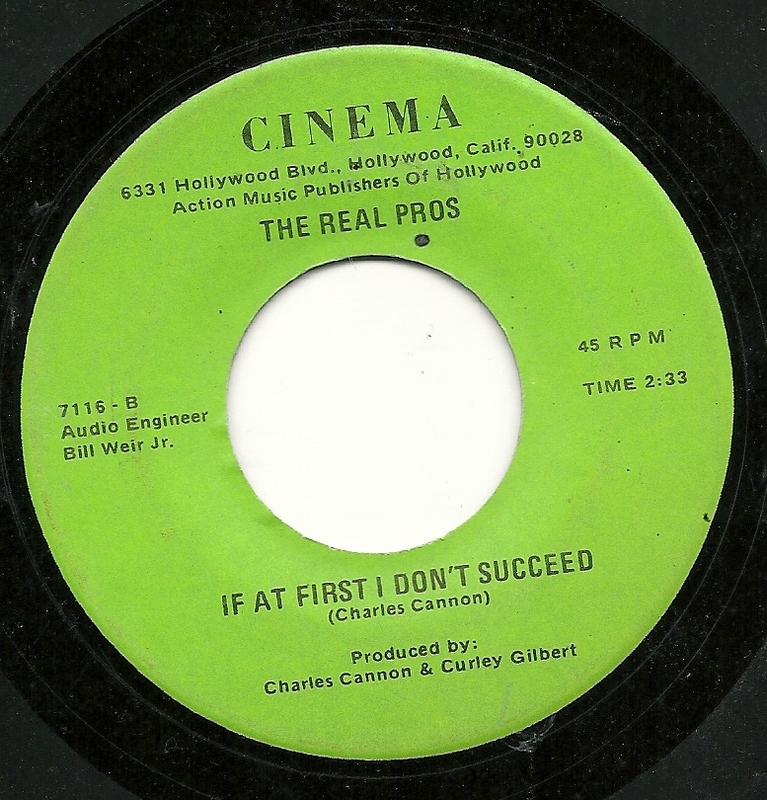 The featured song is "If At First I Don't Succeed", and calls into question for me what the songwriter (and performer) considered "success". Certainly they failed at creating a catchy song or performance. But on the other hand, maybe the intent was to set succeed in setting a record for the number of cliches shoved into one song poem lyric. By the end of the first verse and chorus, we've had "climb the highest mountain" "swim the sea" "prove my love", "give it one more try" and "do or die" as well as the title phrase, and several more follow. See how many you can count! 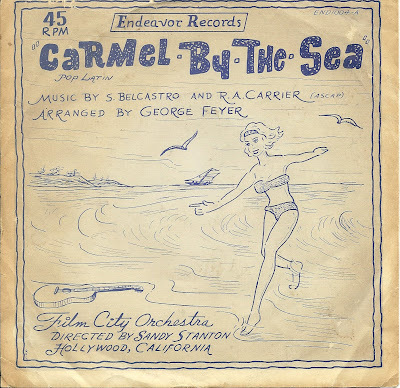 And here's something keen that I never noticed, but which is true of ALL of these earliest Cinema records. The songwriters not only get the standard songwriting credit (despite usually having had nothing to do with the music part of the song, they typically were the only person listed as the writer), but on these records, each of the writers also get a CO-PRODUCER credit. 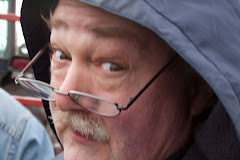 Click on the link for all of the Cinema postings, and see what I mean. Once they got out of their one-man-band period, they seem to have stopped doing this, but what a weird feature! 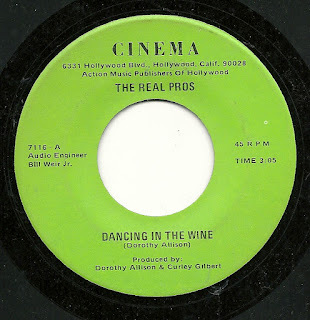 The flip side "Dancing in the Wine" is yet another one of those "I let you slip away and now I'm at your wedding, watching you with him" songs that I'm sure we've all had quite enough of. Here's something quite unusual - in fact, I'm only aware of a few examples of each of two unusual facts regarding today's featured record. 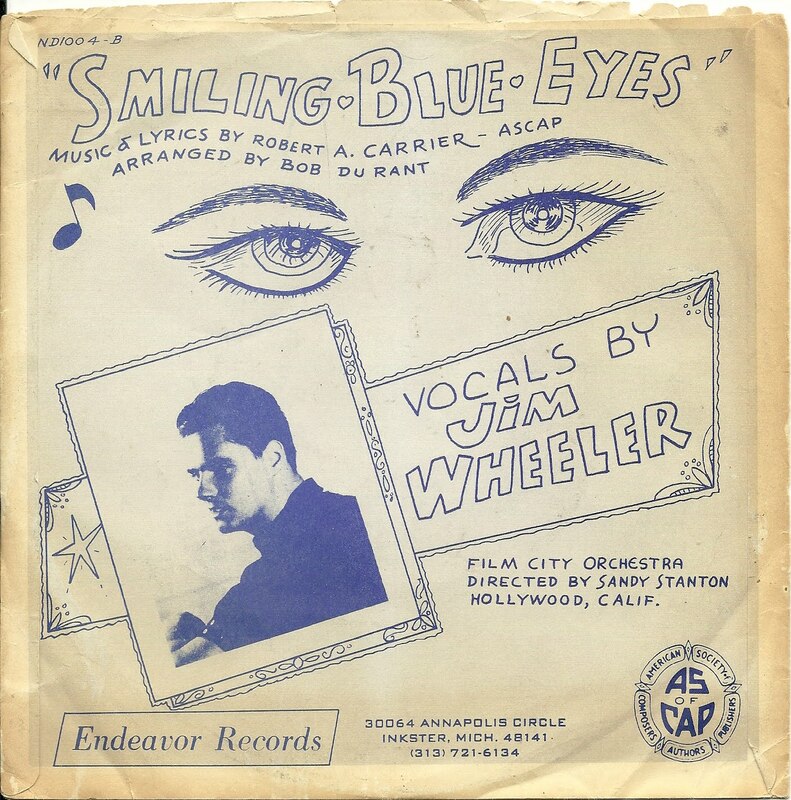 The first is that it came with a picture sleeve - I mentioned owning two a few weeks ago, when I posted the other one which I own, and I've since been reminded that a few other song-poems came with picture The other thing is that one of the songs is an instrumental. 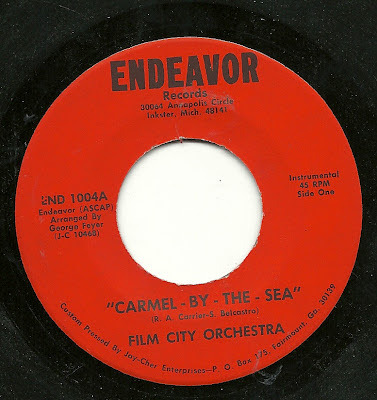 There are very few song-poem records with instrumental tracks that I'm aware of, one of them being the marvelous "Elmer 21 Century Hop", which was included on the first Rodd Keith compilation. Like that track, today's offering comes from the Film City factory (although the record itself appeared on the smaller Endeavor label), and is in fact credited to "Film City Orchestra". 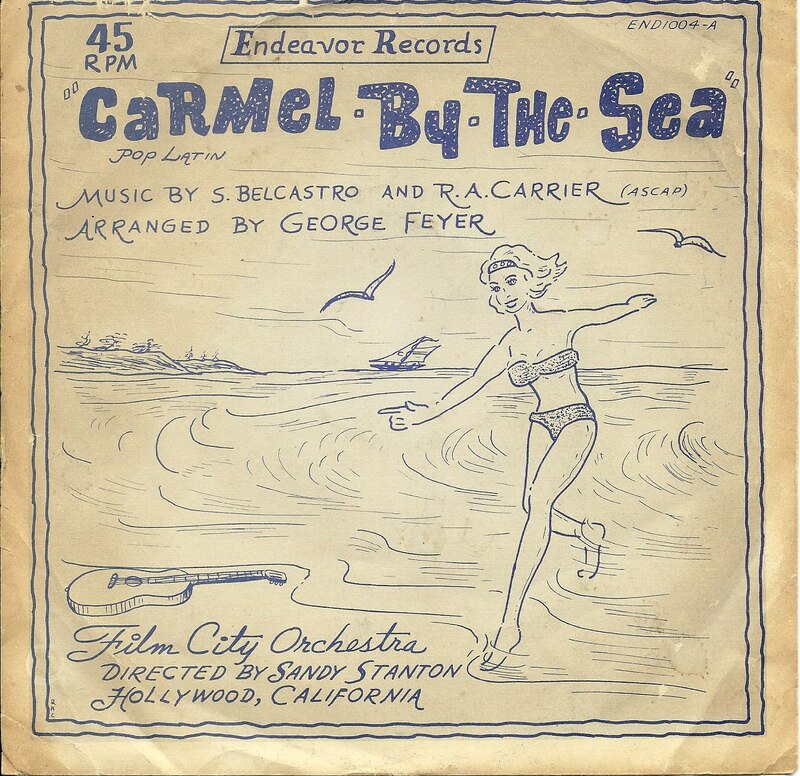 Like "Elmer", what we have here is a chance to hear the Chamberlin played as a solo instrument, with every sound on this record created on that most wondrous of instruments. For the first time in a while, I'm introducing a new name to this series, a singer not previously heard from in my ongoing review of song-poems. It's Cathy Mills, whose work turned up for a brief period around 1966-67 on the Tin Pan Alley label. All of her work that I've been able to find documented occurs within a span of less than 100 release numbers on TPA. This is a nice one, featuring the goofy word play which seems to have been endemic to people who bought into Tin Pan Alley's deal (i.e. "Fine Cars, Fine Cigars", "Doggone! My Dog is Gone" "Right, Right, Right the Wrong", and too many lyrical couplets to mention). 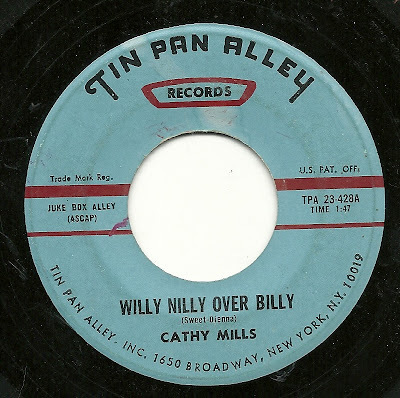 "Willy Nilly Over Billy" also has the garage-lite sound that make so many of TPA's records from this era so pleasantly weird (or weirdly pleasant) to experience. 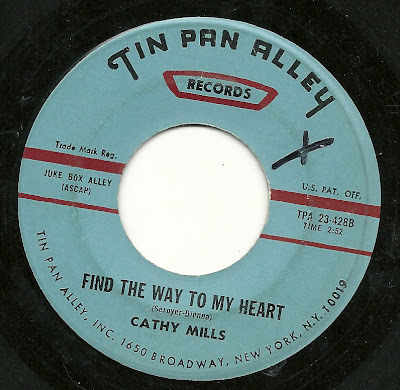 Cathy Mills has a sweet, engaging voice, which makes me wish that she turned up on more of these records than she does. The flip side, "Find the Way to My Heart", is, as you'll hear, beat to hell. I started trying to fix the clicks and pops, but the results were almost as bad as the unfixed version, and I eventually gave up, part of the reason being that the song didn't strike me as anything special at all. Finally, today would have been mom's 89th birthday, and I hope that somewhere out there, she's celebrating. And what better way to celebrate the holiest day of the Christian calendar than with what was clearly the go-to choice for the reverential song-poet, Halmark records. Phil Milstein, in his most excellent essay on the Halmark label, made mention of the clear difference in writing style and quality between the authors of Halmark song-poems and those of almost every other label, suggesting that the fact that their customers were aficionados of "Writer's Digest" magazine was one reason for this distinct difference. But as to what accounts for the fact that a far bigger percentage of Halmark releases have a Christian theme than any other label - none of them comes close - well, I have no idea. On today's EP, three of the four songs which have a religious theme, including two which refer directly to those events observed during Holy Week. Although not named on the label, these songs clearly feature husband and wife Jack and Mary Kimmel, either together or separately, on each of the tracks. Either the recording and/or pressing here is truly horrible, or Jack's trebly voice are just too much for my poor phonograph, because at several points during his vocals, there is distortion. 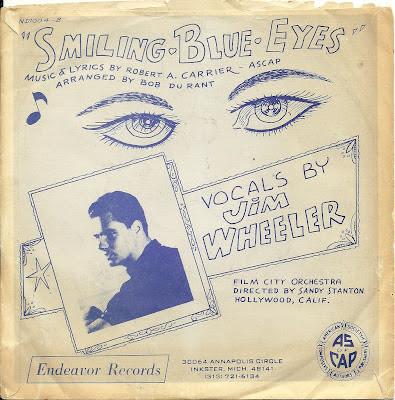 And what's more, this is one of only two song-poems I've ever seen that comes with a picture sleeve (the other is for a Film City record). Given that this is a printed piece of paper glued over a standard white 45 sleeve, I'm tempted to say that this is something that song-poet Rolland M. Pointer put together himself. But then, why would it have all of the Sterling Records details? Perhaps this was a feature that Sterling offered, but which was rarely purchased? 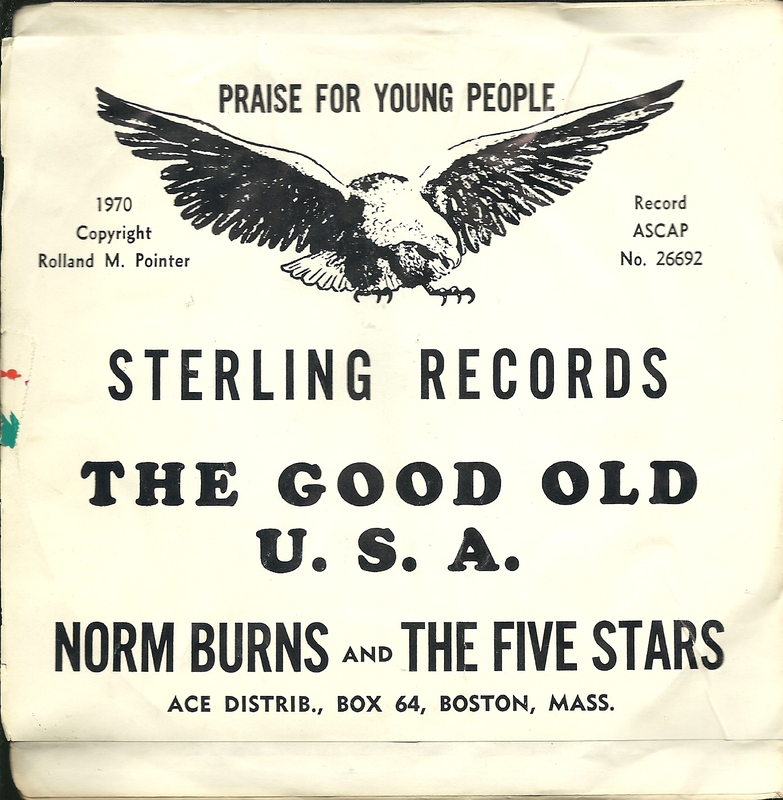 Whatever the story, it is nice that either Mr. Pointer or Sterling wanted to stress that his song was meant as "Praise For Young People"! For the flip side ("Ring Out the Bells"), the Five Stars took a break, and "Singers" came in to replace them. This is, admittedly, a Christmas song, and a fairly dull one at that. But hey, it's Easter Week, so at least there is a Christian tie-in.